At the end of July, in preparation for the start of the new year, student accounts will be reset and populated with their fall courses. 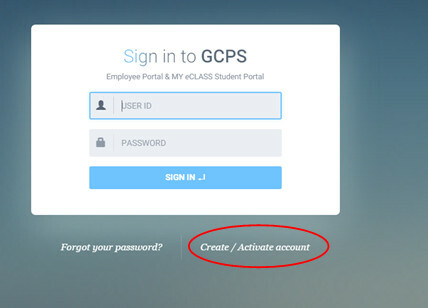 When this update occurs, students will need to ACTIVATE their portal accounts for the new school year. Log in to a school computer using your student number for your user name and password. Follow the online prompts to change your password. 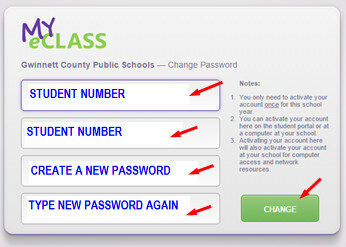 Your student number and new password is the same log in you will use to log into your Student MYeCLASS Portal account. - Type your new password twice, then click Change. 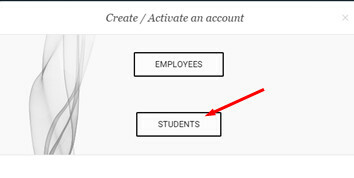 For a quick how to video on activating your student portal account for the start of a new school year, click HERE.